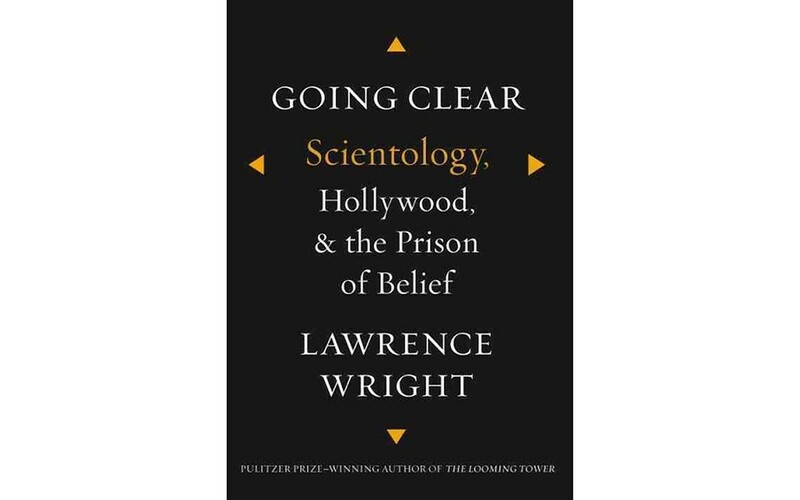 Lawrence Wright's new book on Scientology is not the first expose of the church, though it is the first by a Pulitzer prizewinner. Such a pedigree was still not enough to ensure its publication in the United Kingdom, where the book faced challenges from the fiercely litigious church. The book reveals founder church founder L. Ron Hubbard to be an inveterate yarn spinner from very early in life. Well before he was writing pulp science fiction tales, he invented self-aggrandizing tales of nonexistent war injuries, travels to the Far East that never happened, and heroic Navy exploits in World War Two that rarely check out with military records. After the war, Hubbard befriended rocket scientist Jack Parsons, one of the founders of the Jet Propulsion Laboratory. Parsons was also a follower of occultist Aleister Crowley. In his house, dubbed The Parsonage, Parsons welcomed an odd assortment of bohemians and artists (an ad for tenants stated "must not believe in God"). It was here that Hubbard combined his sci-fi speculations, pop Freudianism and a peculiarly American self-help doctrine in the book Dianetics, which became a bestseller in 1950. Though the book brought Hubbard brief success and money, Dianetics eventually went bankrupt, both because of financial mismanagement and legal challenges to its scientific legitimacy. Scientology rose from its ashes, reframing and expanding its pseudo scientific program as a religion. Throughout Hubbard's life, he would improvise further details of his ludicrous theology, continually keeping his followers waiting for the next revelation. In his own words: "To keep a person on the Scientology path, feed him a mystery sandwich." By the late '60s, Hubbard had rekindled his grand visions of naval heroism and founded the Sea Organization, a subset of Scientology drawn from the elite inner core of the church, and sail the globe. Hubbard fashioned himself "The Commander," though in Wright's telling he was a petty and capricious captain who quickly wore out his welcome wherever his ship sailed. In 1977 Scientology finally snagged its first big convert: John Travolta. Through the '70s and '80s, movie stars like Travolta and Tom Cruise became the church's public image. Wright contrasts the royal treatment of these stars with the indentured servitude, random violence and intimidation of rank-in-file members, some of whom worked for dollars a day. The church ruthlessly attacked apostates and those who would expose its dark side, both in the courts and by more underhanded means. Scientology made important political connections as well, at one point even enlisting Bill Clinton to defend the church when it was challenged in Europe. It was once said that a cult is a religion with no political power. By that measure, Scientology definitely qualifies as a religion, though its power to intimidate is on the wane, in no small part because of books like this.